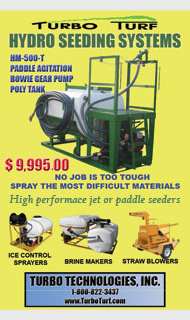 The best sources of information about the Hydro Seeding Industry. Welcome to the IAHP Forum! 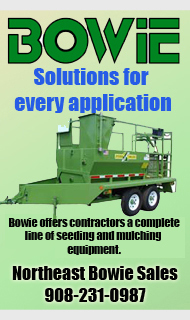 We invite you to use the forum if you have any interest in hydroseeding. This forum is sponsored by the International Association of HydorSeeding Professionals but a membership in the association is not required to use the forum. You do need to complete the simple registration process. HYDROSEEEDING CONTRACTORS. If you are a hydroseeding contractor or have an intrest in getting into the hydroseeding field our members are friendy, helpful and experience and will help with any problems you have. We invite you to share your knowledge and help those who have questions that you can answer. We invite you to join the IAHP and as many have found this may be the best thing you can do to help your business but you are welcome to particiapte in our forum even without being an IAHP. We want to provide a media for you to promote your products. You are welcome to post about your products and your press releases in our "News from the Manufacture's" section. 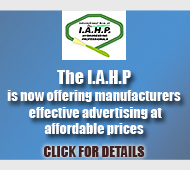 We also invite you to join the IAHP. Your membership will provide advertising opportunities that will make your membership a valuable investment in your business. Your logo and a link to your website will appear on our member page. You will recieve free advertising in our electronic newseltter. Members prefer to buy from suppliers that support their orgainzation. If you have questions about if hydroseeding is right for you or if you need help finding a qualified hydroseeding professional the forum can be a great benefit to you. You are welcome to post about questions you may have or to post that you have a job available. We will help any way we can. You are welcome to post information about your products or equipment. Membership is not required but a membership will get you a listing in our "Dealers" section that can help drive customers looking for new suppliers to your business. Membership in the IAHP is a great investment but you are welcome to participate in the forum without being a member of the IAHP. Paper mulch suppliers in Maine or close? I'm having a hard time finding a dealer shipping is super expensive. If read everything I could find one this subject. Best place to buy materials? I live in Maine and have looked online but all I'm seeing is northern tool and turbo turf. Where is the best place to get replacement seals for the auger shaft. I think I should be able to get the bearings at a local bearing supplier but looking for somewhere to get the seals.